My one encounter with a science fair was when I went to an afterschool presentation about participating. I am sure I informed my mother, but either I didn't or she forgot, because when I walked home that day I found her in tears, convinced I had been abducted. She's been wildly overprotective of me ever since. I found I was not cut out for science fairs, and I do not remember ever going to an actual science fair. There are, however, some kids for whom science fairs are more than just exploding volcanoes. It's the competition of all competitions, a chance to improve the world and show their mettle. Science Fair chronicles six various groups and individuals from around the world as they compete for the ultimate prize. We are introduced to our contestants. From Louisville, Kentucky we have Anjali, a go-getter who is very pleasant but also pretty fanatical about competing. Almost as a counterpart is the laid-back surfer-dude type Ryan, who teams up with Abraham and Harsha. 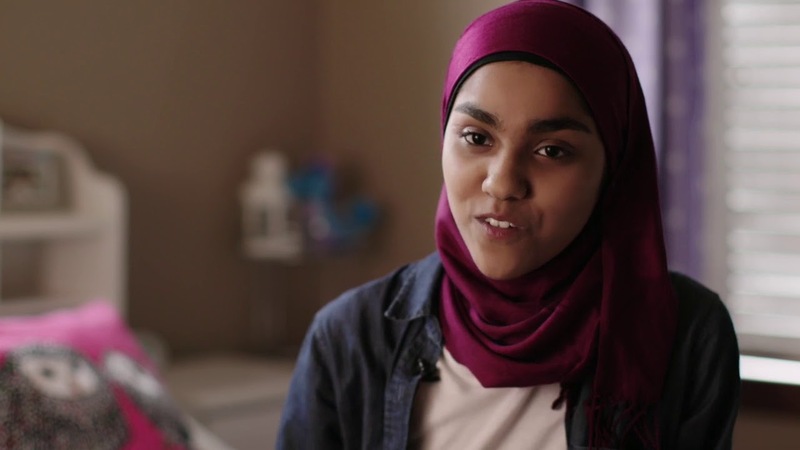 Shifting to Brookings, North Dakota we have Kashfia, a 16-year-old who is both invisible and a rarity in the community. She is passionate about science in a town which loves their athletics even if their football team has a perfect losing record. She is also a hijab-wearing Muslim in a very Anglo part of the world. Despite this, she finds an unlikely sponsor: Coach Schmidt, who is as befuddled by Kashfia's project as most people would be but who also sees her drive and intelligence. Our first foreign visit is to Lorch, Germany and Ivo, who loves the power of flight and has done so ever since he was a child. Shifting back to the States, we go to Shenandoah Junction, West Virginia and 17-year-old Robbie, a technical wizard who is surprisingly lackadaisical about most things. He can pull apart a calculator to make it spout off Shakespearean insults but can't find a way to plan ahead. We leave the States then for Iracema, Brazil and the team of 17-year-old Myllena and 19-year-old Gabriel. Myllena is the dominant one, who despite the poverty of her hometown is determined to use her skills and passion for science to find treatments for the Zika virus devastating her community. Finally, we return to America and Jericho, New York. Like Louisville, Jericho is a powerhouse at science competitions. Lead by Dr. Serena McCalla, the tough-but-loving teacher who has essentially sacrificed her personal life for her students, she is the mentor to her group of students. They all seek the same thing: to compete at the International Science and Engineering Fair, the fabled ISEF. 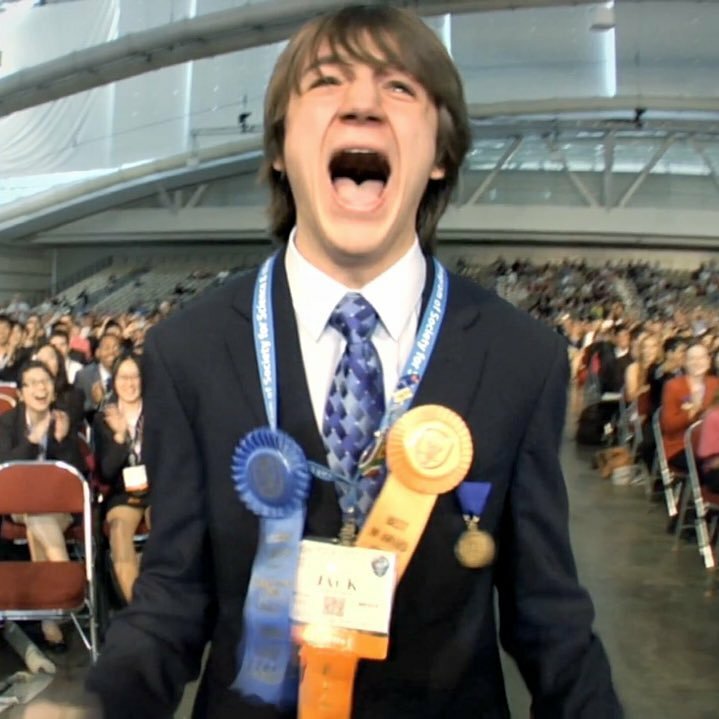 The various subjects of Science Fair, along with past winners like 2012's Jack Andraka (who at 15 was the first freshman to win Best in Show and starts Science Fair with his surprisingly flamboyant meltdown reaction to winning) speak of ISEF in hushed, reverential tones. ISEF...say it soft and it's almost like praying. The 2017 ISEF takes place in Los Angeles, and we learn how they all end up going. It's like March Madness for Nerds: you go through various rounds where you have to win your state or national competition to move up to ISEF. The competition is surprisingly fluid: Anjali would not be denied, so after losing at her area's competition to Ryan & Company, she merely goes to another competition and wins her Golden Ticket to ISEF. Science Fair then goes through all the preparations the various subjects go through. There are light moments, like the original Nerd Prom aka the ISEF Student Mixer, where we see these kids release their energy on the dance floor. Given that Ryan & Company had just left their own Prom a few hours before their flight (and being sleep-deprived and perhaps hung over), seeing them cut a rug was a sight. Even Kashfia got into the act, though it was too dark to see if she did let loose or just looked around versus Myllena who had herself a ball. Still, they didn't come to just twerk their Bunsen burners. They came to compete. That means rehearsing their statements to the judges, carefully setting up their presentations, even surviving the notorious SRC flags. SRC: Scientific Review Committee, that strikes terror into every participant for if they rule against your presentation, you are essentially done. Ryan & Company get an SRC and we see the Committee approach their booth prior to the opening. The rather prissy committee grills them on a technical point of their research but the trio manage to show that the SRC misread a detail, so they manage to survive for another day. Just before ISEF is open to the judges, we see the various students unique struggles and outlooks. Robbie struggles to find the right shirt and admits he didn't prepare his remarks. Anjali is essentially casing the joint, looking and quipping on the other displays. Myllena and Gabriel rehearse their English and freak out when they fear their translator, whom they will use only to answer questions, may not be there. Harsha irons his, Ryan and Abraham's shirts, making them especially sharp. After a brief detour to interview past winners from 1942's Dr. Paul Teschan to 1972's Nina Schor (the first girl to win Best in Fair...the film's words, not mine) and 1971's Dr. Martin Lo (who with his sister Cecilia became the first siblings to win), we see but don't hear the closed presentations where our young men and women exude poise and intelligence with hints of understandable nervousness. There are 1,700 finalists in 22 categories. We finally get to the presentations and learn the fate of our contestants. Dr. McCalla's school wins 7 prizes in total. Ryan & Company do not place. Anjali places fourth in her category. Myllena and Gabriel do not place, and neither does Robbie. Kashifa wins First Place in the Life Sciences: Behavioral & Social Sciences category. And now for the Grand Prize: the Gordon E. Moore Best in Fair winner (which I lovingly call 'Best in Show'). The 2017 winner is...Ivo Zell from Germany. We catch up with them at the end of Science Fair: Robbie's ideas got the attention of a Silicon Valley tech entrepreneur. Ryan & Company went to various universities but still keep in touch with hopes to patent their ideas. Anjali went back to the drawing board to improve her idea the day she got back from ISEF. Myllena and Gabriel went to University and tour Brazil to inspire more students. Kashfia's accomplishment was not recognized at Brookings High School, let alone mentioned. The Brookings High School football team did snap their losing streak on Opening Day though. I beg forgiveness for perhaps a somewhat droll tone when going over Science Fair. It's not meant to be disrespectful of the younger generation that I'm sure will improve my life. However, as a side note, I am constantly reminded that for the intellectual prowess many of these kids have, as adults they have a very unfortunate habit of not 'dumbing-down' their text. Many a time have I read instructional manuals or heard them give instructions using their own highly technical vocabulary, either unaware or uninterested that the majority of people have no background into their esoteric language. If there's one thing I would like education to do is teach those passionate about science and engineering to learn to express themselves in simpler words. It isn't a question of talking down to people but putting it in terms that those not on their level can understand. 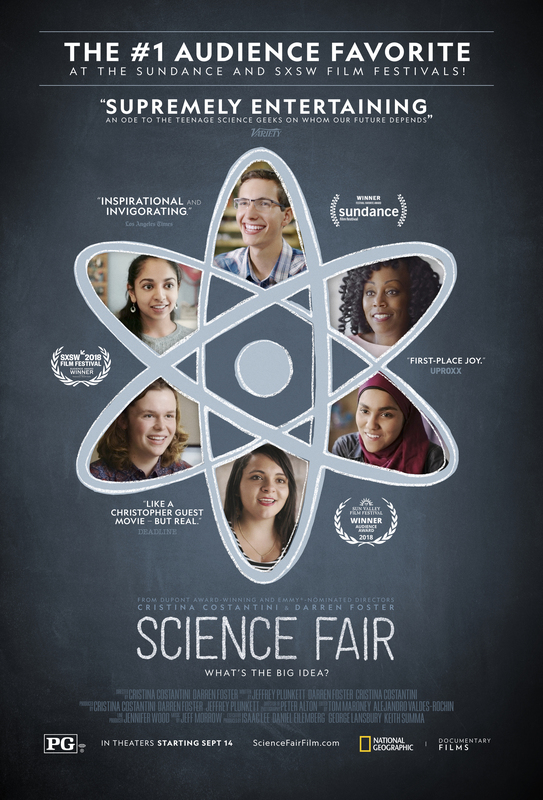 Science Fair is a very well-directed film in that we do get an understanding of their projects from time to time. Myllena and Gabriel's project is explained well and motivated by what they see in their lives. Kashfia's too: her study is a reaction to the high level of drug use in her community, even if she is somewhat removed from it. At other times, I felt as lost as Coach Schmidt. I know the kids are bright, but dear me some of their projects were on things I either didn't fully grasp or really care much about. That isn't to say they are not important, merely a bit opaque. Ryan and Company had something about a holistic stethoscope, which should help poor communities. At least that's what I understood. Ivo just loved all things related to flight. I do wonder though if directors Cristina Costantini and Darren Foster could have done better in not spreading themselves too thin with their subjects. You have at least nine-plus students to keep track of, along with their projects and occasionally their parents or teachers. You get some interviews with Kashfia, Robbie, Ivo and Anjali's parents, but as far as I remember never meet Ryan & Company's parents. You get brief interviews with Coach Schmidt and Mr. Zwanzig in Louisville, but then in Jericho the focus shifts more towards Dr. McCalla than to her students. In Jericho, I think we met only 16-year-old Doris, and I don't remember hearing from Kendra, the first and only named winner from Jericho. As nice as the section on past winners was, it felt more like a distraction. A greater distraction was how Science Fair hopped at will. I genuinely found Kashfia and Myllena's stories more interesting than the surprisingly goofy manner of Ryan, Abraham and Harsha, who come across as Bros Who Like Chemicals. Our 'Best in Show' Ivo was a bit of a mystery as a person. He seems pleasant enough but I don't think I learned all that about him. For my mind, I think cutting out some of the subjects to have a sharper and longer focus on a few versus on so many would have done Science Fair much good. As it is, Science Fair is a good film showing that the next generation is capable of doing and pursuing great goals.